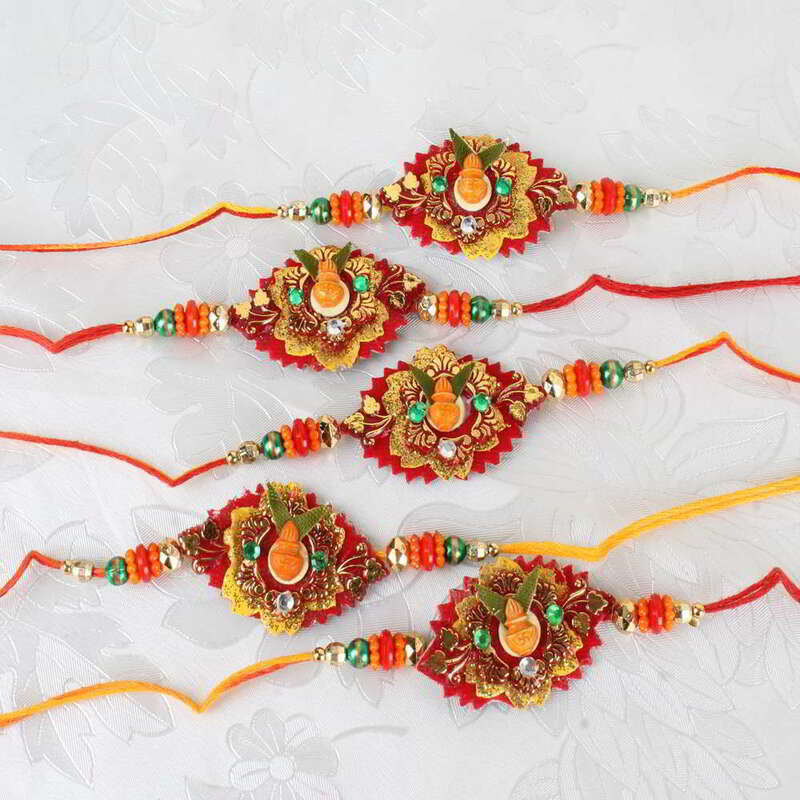 Product Consist: Five Kalash Designer Rakhi. 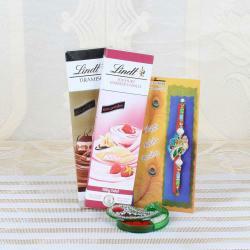 On Raksha Bandhan occasion all sisters convey warmth, affection to her brother with rakhi thread. 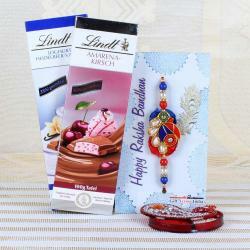 Tie this unique rakhi thread on your loving brothers wrist as this Rakhi set contain five threads so it will be the best gift pack for them who have more than one brother. 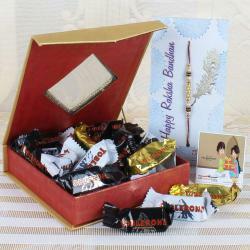 If you are far from your family then will convey your wishes on behalf of you on this Raksha Bandhan. It is an ideal way to make the occasion even more memorable. 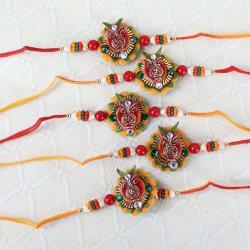 Product Includes: Five Kalash Designer Rakhi.